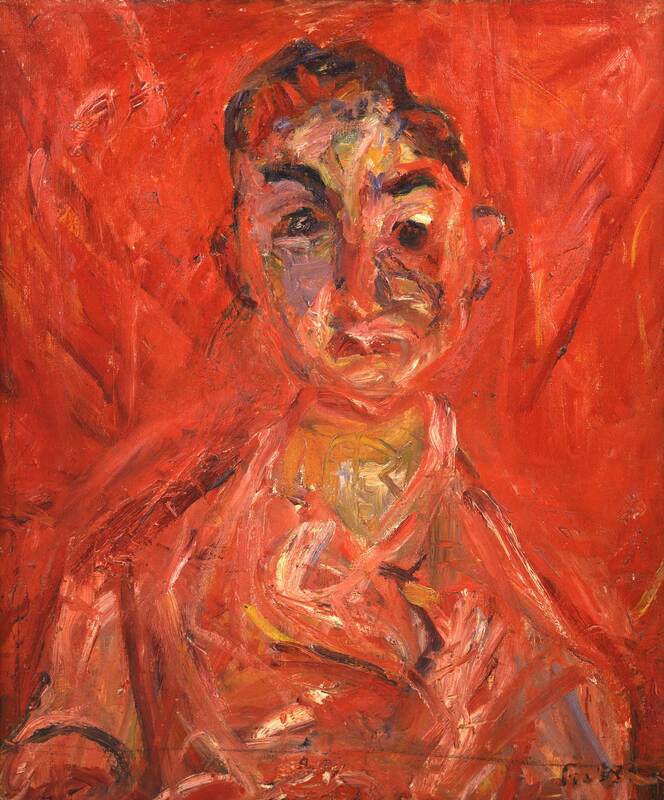 Few artists shaped paint like Chaïm Soutine. 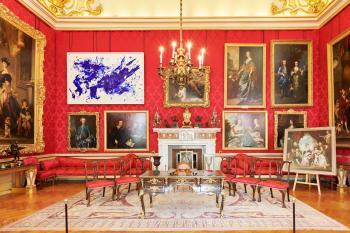 His canvases – full of smears and splotches, lines and lacerations – seem to boil with motion. Pictures that appear to be uniformly coloured from a distance reveal themselves to be kaleidoscopic close up. And yet, though he is highly valued in France, Soutine has never been well-known in Britain. 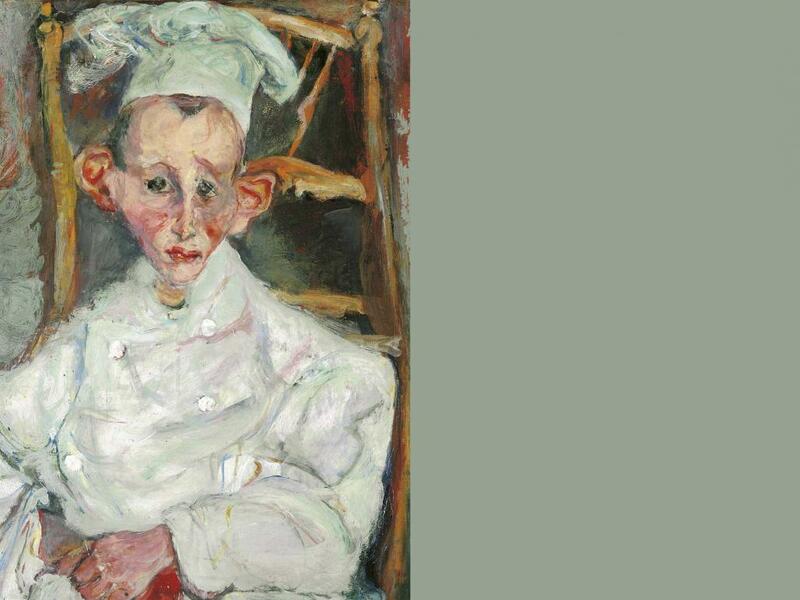 A new exhibition at the Courtauld Gallery in London, of his remarkable portraits of cooks, butchers, waiters and bellboys, should change all that. 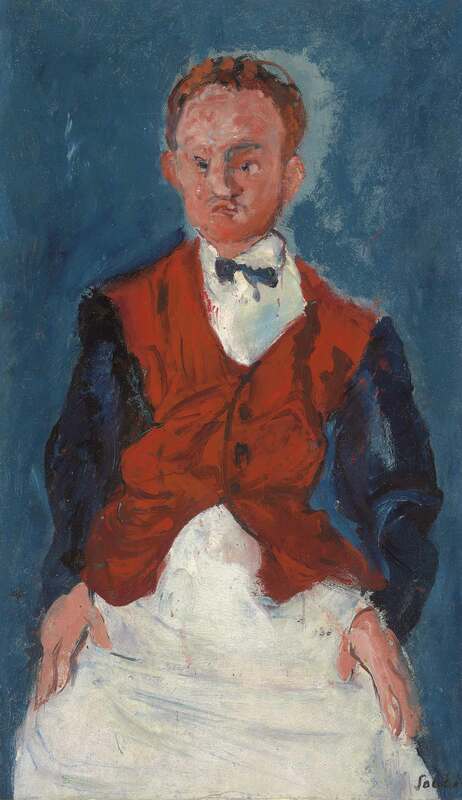 Soutine may have been interested in humble figures because he recognised himself in them. A Lithuanian Jew born in 1893 in what is now Belarus, he left for Paris in 1913 without a penny in his pocket and moved to Montparnasse, where he lived in penury for years. 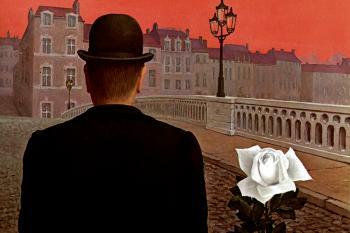 It was in the early 1920s that he became fascinated by the staff of Parisian hotels and restaurants. He painted his subjects over many gruelling sessions, giving most of them distorted features: elongated limbs, mismatched eyes and elephantine ears. At first glance these deformities might appear cruel or parodic but they were just Soutine’s way of drawing out his impressions of particular features that caught his eye. 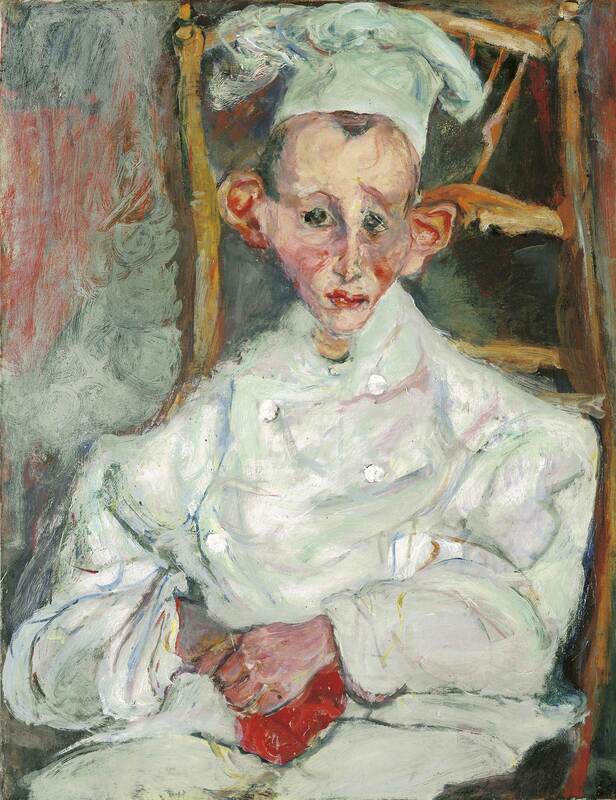 Soutine had a long-standing obsession with meat, which emerged, he said, from seeing a goose beheaded as a child (the happiness on the butcher’s face made him stifle his scream). 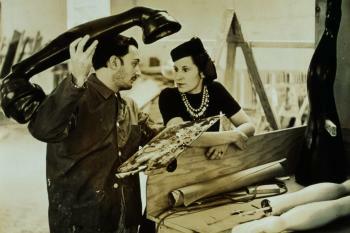 While he lived in La Ruche, a bohemian artists’ residence in Montparnasse, he kept, and repeatedly painted, a rotting cow carcass. On one occasion, Marc Chagall mistook it for Soutine and cried out that he had been murdered. Looking at this fervid painting, one wonders whether the real butcher isn’t the subject but the painter. The figure is submerged in a bloodbath of vermillion, the white of the butcher’s coat only hinted at beneath the carmine squall. Viewed up close, the butcher’s uniform seems melded to his very skin; he has the expression of somebody you wouldn’t want to cross. 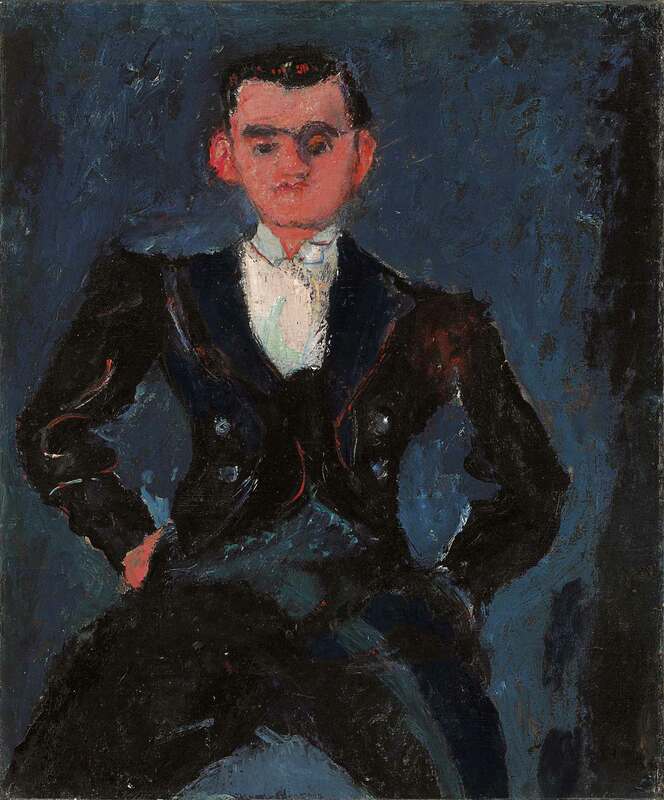 At the urging of Soutine’s close friend and fellow La Ruche resident, Amadeo Modigliani, the powerful art dealer Paul Guillaume took Soutine on, and in 1923 he sold 54 paintings to Alfred C. Barnes, an American collector. Overnight, Soutine was thrust from the margins to the centre of the Parisian avant-garde, and from his hand-to-mouth existence to respectable comfort. When he heard about the sale, he got in a cab and drove from Paris all the way to the Côte d’Azur. 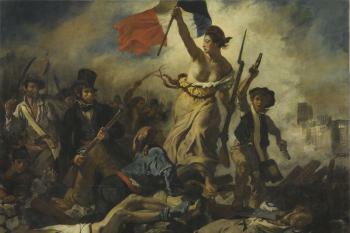 During his stay there, he painted a trio of pastry cooks. Sat on a rustic chair, as if the subject of a more conventional rural portrait, this teenage chef is at the crossroads of innocence and experience. His face bears the flush of youth, his hands the seams of labour. The petit pâtissier (young pastry chef) was an archetypal character in early 20th-century French art, a happy-go-lucky stereotype. Here, Soutine restores humanity and dignity to this tired caricature. On his return to the capital, and with prices for his work soaring, Soutine became better acquainted with the glamour of modern Parisian society. 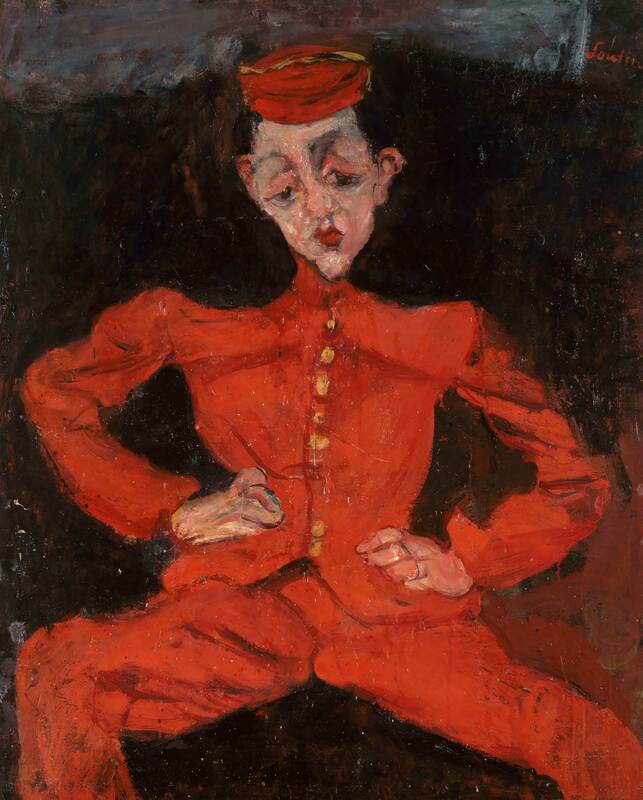 Hotel bellboys, dressed in their fine uniforms, stood in marked contrast to the more modest workers that Soutine had previously captured. However, this distended bellboy, with his limbs splayed like a doll’s, is not a proud figure. 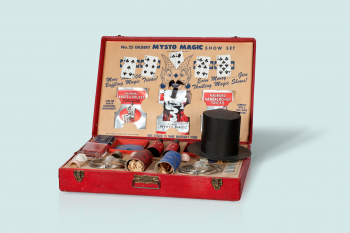 His mismatched hands betray a hint of awkwardness, as if he were a child dressing up in adult clothing. Soutine painted four portraits of this ginger-haired servant, who may have worked at a hotel in a spa town where Soutine sought treatment for his (eventually fatal) stomach ulcers. Unlike the bellboy, this commanding fellow seems comfortable in his uniform. The colours – vivid reds, whites and blacks – are familiar, but the brushstrokes are more clearly defined than in his earlier paintings. The smartest of all the outfits worn by hotel staff was formal evening dress: tailcoat, waistcoat and white tie. It elevated those who wore it to a level that was just below the hotel’s guests. With his raised eyebrow and both hands placed casually in his pockets, this room-service waiter gives off an air of insouciance, as if he thinks himself above his station. For his final series of portraits of those in uniform, made during the early 1930s, Soutine turned to women. 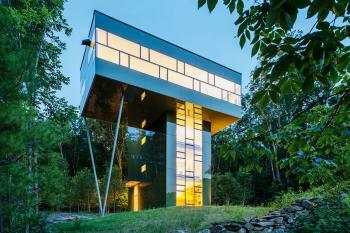 His new subject matter brought with it a shift in setting: from the glitzy, public-facing spaces of hotels and restaurants to the private domains of domestic service. Clad in a traditional black dress and white apron, this maid is subdued and serious. The blue lines in her face suggest that she is tired, just as the shading of her hair hints that it is greying. 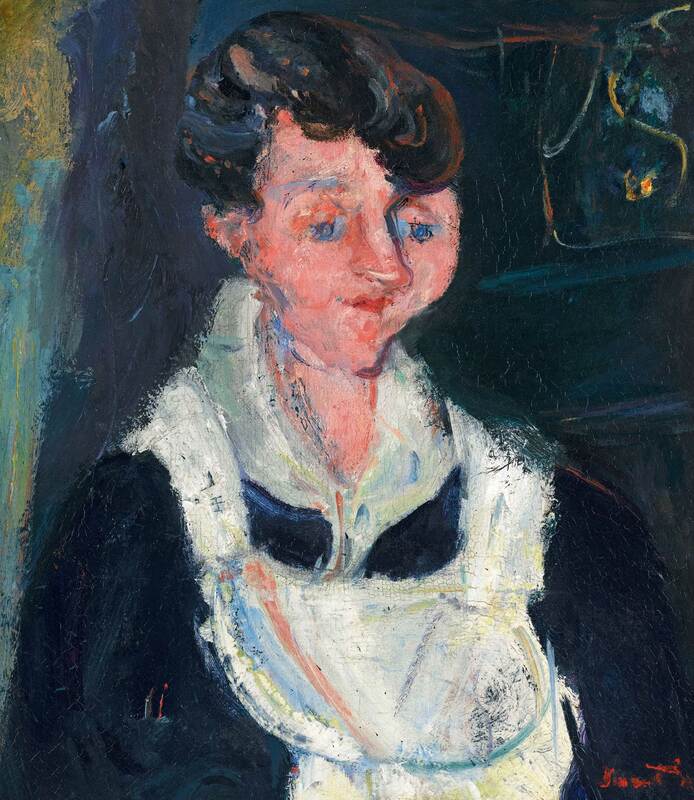 As with “The Little Pastry Cook,” Soutine dismantles a contemporary cliché – that of the soubrette, a flirtatious servant – and replaces it with a real person.